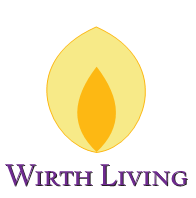 Wirth Living provides one-on-one counseling, tailor fit to each individual. The client will receive individual weekly counseling sessions, online support, group support, weekly recommendations, follow ups, health food store tours, cooking lessons, pantry clean outs, exercise regimens, as well as supplemental information pertaining to the client's individual health goals. Dominique Wirth is a skilled counselor with a BA in Psychology from James Madison University. She graduated from the Institute of Integrative Nutrition, as well as completing their Immersion Course. Dominique focuses on habit formation, motivational cues and will power reinforcement. The Six Month Program is tailor designed to work with each individual on their specific health goals. We will work to gradually create the specific healthy behaviors into sustainable habits that the client will be able to utilize long after the program is completed.